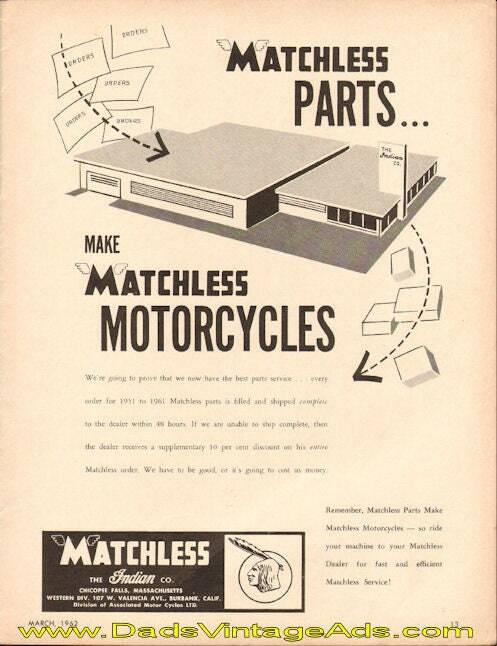 Matchless parts make Matchless Motorcycles. We're going to prove that we now have the best parts service...every order for 1951 to 1961 Matchless parts is filled and shipped complete to the dealer within 48 hours. If we are unable to ship complete, then the dealer receives a supplementary 10 per cent discount on his entire Matchless order. We have to be good, or it's going to cost us money.